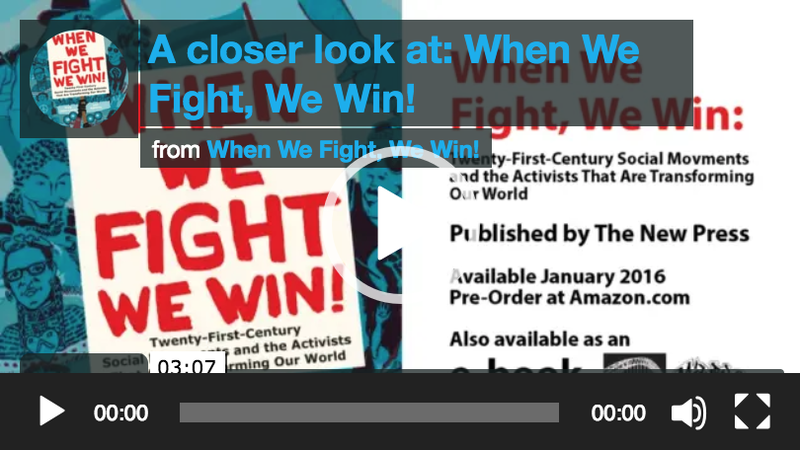 The following is an excerpt from the introduction to When We Fight, We Win! 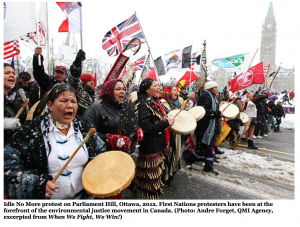 Twenty-First-Century Social Movements and the Activists That Are Transforming Our World. 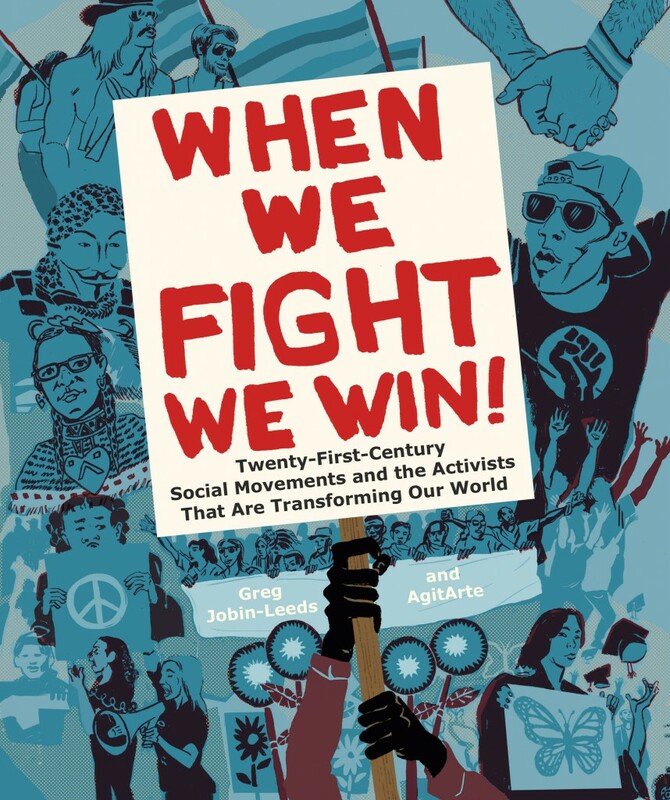 Author Greg Jobin-Leeds explains the book’s title, the philosophy of transformative change that drives the organizers featured inside and the specific qualities that these organizers share. 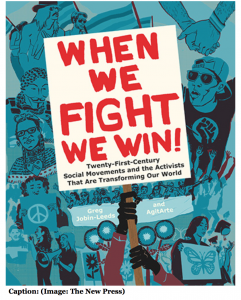 Jobin-Leeds created When We Fight, We Win! 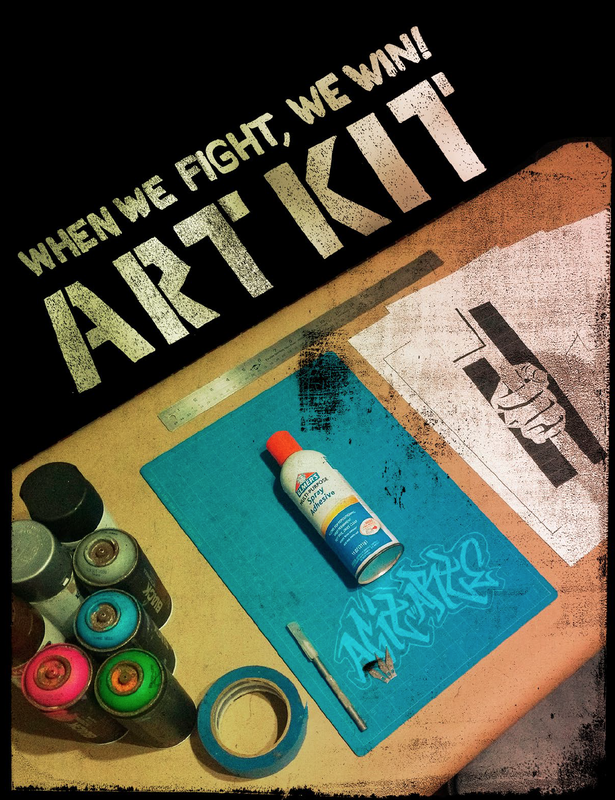 in collaboration with AgitArte, a collective of artists and organizers who have been initiating and leading education and art programs in marginalized communities since 1997. 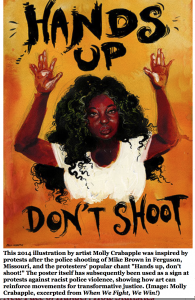 This 2014 illustration by artist Molly Crabapple was inspired by protests after the police shooting of Mike Brown in Ferguson, Missouri, and the protesters’ popular chant “Hands up, don’t shoot!” The poster itself has subsequently been used as a sign at protests against racist police violence, showing how art can reinforce movements for transformative justice. Copyright (2016) of Greg Jobin-Leeds. Not to be reprinted without permission of the publisher, The New Press.